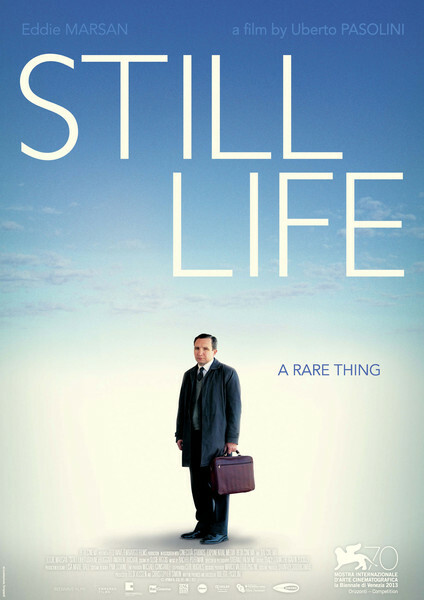 Starring Eddie Marsan as John May, a council worker who deals with tracking down families, friends or acquaintances of people who have dies lonely deaths so that they may receive a decent burial and send off, moves along at its own downbeat pace without ever becoming pedestrian. Uberto Passolini manages to convey something of the mundane atmosphere of his protagonists lonely existence and to this end he does a highly effective job. What the film focuses on as a central point though is loneliness and how modern life, society and the breakdown of traditional structures all have a knock on effect. I suppose your relationship with this film will hinge on your own viewpoints as to whether the breakdown of traditional values is a good or bad thing but one thing that becomes clearer and clearer throughout is that loneliness is not exclusive to people who live on their own. There is also a slight lilting humour acting as a constant undercurrent throughout the duration of this film and it is a wry smile to yourself type of humour as opposed to any laugh out loud type moments. In this it is effective in letting the viewer sit back and consider what has been said and just how poignant it actually is. Not a film for the adrenaline junkies however but Still Life ambles along unobtrusively enough and makes its points highly efficiently. In this it succeeds where maybe bigger and bolder films don’t. A classic example of throwing every cliché in the book at a psychological horror film: attractive newly weds, house in the country, dark woodlands, flashing mysterious lights, weird neighbours with secrets to hide and secrets from the past. At times I was unable to work out whether it was being played for laughs and there were certainly several laugh out loud moments but as they came at what were supposedly climactic moments I am unsure how intentional they actually were. Starring Harry Treadaway and Rose Leslie –who are both excellent at capturing the supposed annoying smugness of their almost caricatured characters- as newly weds Paul and Bea who have decided to use the latter’s family hideaway in the middle of nowhere as their honeymoon retreat. Of course the idyllic surroundings immediately suggest ominous happenings and sure enough at an early encounter with neighbours Will and Annie it is clear that something is amiss. Matters are complicated by the fact Will was Bea’s childhood sweetheart and it is clear that even this brief encounter unsettles her though we are never told why. Shortly after this brief meeting Paul awakes in the night to find Bea missing from bed and after a frantic search in the woods finds her naked, disorientated and in an obvious state of distress. Attempting to explain this situation away as merely sleepwalking it becomes clear however that something more sinister has actually occurred through radical changes in her personality and she becomes almost unrecognisable; even to herself as she has to keep writing notes to remind her who she is. Directed by Leigh Janiak Honeymoon never establishes enough of its own identity to stand out from others in this genre. As said before it has several laugh out loud moments but suspicions linger that it is a serious attempt at psychological horror which misses the mark somewhat. Ultimately it is not a wholly unsatisfying film-there are some successful elements here not least the performances- but it is a totally unconvincing one. This Polish outing is an intriguing, constantly compelling and intelligent film which feels no need to over explain itself and leaves any conclusions which can be drawn to be made up in each individual viewer’s own mind. This is an extremely effective tactic by director Krysztof Skonieczny as it means the film actually stays in your consciousness long after the credits have rolled. Beginning with the mysterious Marcin- a brilliantly malevolent and unsettling performance from Marcin Kowalczyk- arriving at the front door of a successful middle-aged couple but encounters their beautiful daughter Ola instead. Never revealing why he is looking for her parents he follows her and insinuates his way into her company and later, that very same evening, her bed. Using this as a means of inveigling himself with her parents it soon becomes blatantly clear that he has only one objective in his sights and that is that he wants to kill the couple. Whatever the reasons for his ire are never made clear-is he a professional hit-man, terrorist with axe to grind or does he have his own personal grievance?- to the audience and each scene with him alone first with her father then later with her mother is fraught with tension and an unawareness of what might happen next. To this end even the most mundane moments, such as an innocuous moment of sharing a cigarette on the balcony of the family home with the mother, are suddenly dangerous situations which become dramatic flourishes in an already brooding film. Throughout Kowalczyk is menacing and it is obviously his character’s moody persona which incidentally the two females-mother and daughter- find wholly irresistible but one thing is clear and that is that nothing will prevent him from carrying out his original intentions. 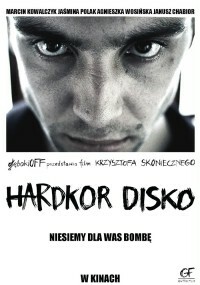 A thoroughly absorbing film which holds the viewers attention throughout and beyond Hardkor Disco is a film which lives up to its initial promise and carries itself throughout. By leaving the audience in the dark considering its central character’s motives and then the outcome of his actions is a brave move especially in a medium where a clear and concise narrative is par for the course. By avoiding this cliché the film is a brave attempt at creating a suspense movie which actually leaves its audience in suspense and is all the better for it. 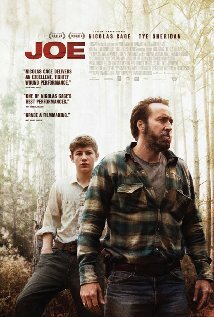 This David Gordon Green directed film starring Nicolas Cage in the title role as A beneficent ex-con who takes a liking to a young fifteen year old boy, Gary-Tye Sheridan- who although like himself is from the wrong side of the tracks but has qualities that possibly remind him of his own younger self. Adapted from a Larry Brown novel the film focuses on a world which is as far removed from the typical American dream as you could imagine and is all the more atmospheric for it. The film opens with Gary seeing his malevolent, alcoholic father- an impressive Gary Poulter- receiving yet another beating for ripping off yet another set of people who really shouldn’t be messed with. Disillusioned with his home life and the violent outburst he has to endure during his father’s drunken outbursts Gary volunteers his –and less convincingly his father’s- services as employees to Joe who runs a team which deals with destroying useless trees which pollute the countryside. Initially reticent Joe sees something in the boy which makes him feel protective in a way which is not typical of his usual reaction. In fact up until this point it is hinted that only his beloved dog is the only thing he cares about or has any emotional attachment to. Actively encouraged by Joe’s support and benevolence Gary starts to look up to and respect Joe, much to his father’s chagrin who then responds with doling out another beating to the newly enlivened and hopeful teenager. Desperate to put the man he feels is stealing his son’s affections in his place Gary’s father proceeds to team up with a nasty piece of work who has his own personal grievances with Joe and matters all conspire to reach an inevitably grimy conclusion. Green does an admirable job with this film coaxing great performances out of both of his main actors; their relationship grows organically and very convincingly as the movie progresses. It is a very atmospheric and involving film which explores the darker sides of human nature without being either judgmental or selling it in a condescending way as an alternative lifestyle; it simply presents the facts that there are people out there who live like this as it is the only way they know how. Definitely one of the better films I have seen at this year’s film festival so far. This film based on a Dylan Thomas tour of 1950 when Thomas was at the peak of his powers and the debilitating downward spiral which would soon ravage him was still in its earliest stages although the signs that things were going to deteriorate were blatantly obvious. Andy Goddard does a sterling job of directing this work which stars Celyn Jones as the wayward poet and Elijah Wood as academic promoter and fellow poet John Malcolm Brinnin and captures perfectly the precarious foundations the two radically different personalities this strange friendship was grounded on. The film begins with Brinnin desperately bargaining for funding to bring Thomas to America to give readings at prestigious colleges and universities. It is a tough task and one he almost messes up. However after he succeeds in getting the poet to New York it would seem that this was the easy part as Thomas and the city which never sleeps are not wholly compatible; or rather they are too compatible with Thomas embracing the party circuit with a little too much gusto. In order to salvage the trip Brinnin absconds with him to his family retreat in the middle of nowhere where the two make up, fall out, make up and fall out again, all in a very short period of time before returning to the city where Thomas can give his readings and meet those who are supposedly good for his career. Naturally this does not go quite as planned. 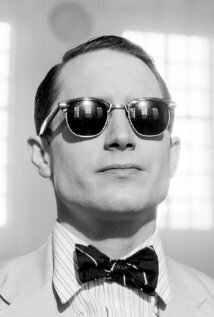 The use of black and white cinematography is perfect for capturing the early fifties depicted in this film and it has something of a pre-colour ‘Madmen’ feel about it in its styling. At times it feels like it is being overly polite –despite the cussing, brawling, and drunken exhortations- but this is a minor quibble. The soundtrack by Gruff Rhys is also outstanding and all in all everything conspires in making this, Goddard’s debut, more than adequate. This tale of four twenty somethings who decide to abandon the stuffy conventions of London and their generation for an idyllic house in the country-inherited by one of the quartet- and create a lifestyle based on their own rules and poly-amorous desires is a sophisticated, ambiguous film which although reveals plenty of flesh reveals less about each of the protagonists and their motivations. Director Joanna Coates coaxes great performances from her actors –Josh O’Connor, Hannah Arterton, Rea Mole and Daniel Metz- and a feeling of relaxed loucheness, no doubt created by the fact they all eventually have sexual relations with each other, replaces the initial nervousness they have when they first embark on this adventure/experiment. Interestingly no explanation is given as to why they have chosen to embark on this ideology and what involvement they had with each other beforehand but not making this clear to the audience is effective as it means they are as much in the dark as to how it will all go as the characters are. Even they are unclear what emotional complexities may exist between them and a practical joke which causes a nervous moment of disruption is not well received by the victims. 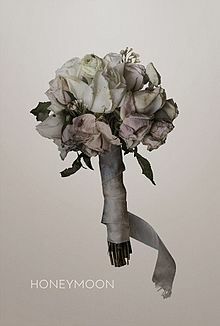 In fact the joke is considered more of a disruption and betrayal than an interloper- an ex lover of one of the four who arrives uninvited and unaware of what is going on- who is met with initial mistrust but leaves in unexplained circumstances after a well meaning invitation to partake in the sexual shenanigans on offer. It would appear that the bond already established between the foursome is of more importance than any previous relationships, no matter how serious or complex those relationships may have been. It is a film which explores radical new concepts of free love but at the same time it bears the hallmarks of tradition: country walks in wellies, bonfires and parlour games in the evenings. To this end it is a brave film which explores the abandonment of the rigidity of modern life which likes to think of itself as open minded but really is more tied to the past than it really knows. Whatever the motivation for the foursome’s decision to choose the lifestyle they have adopted, the message would seem to be it is a preferable option to the one they had before. 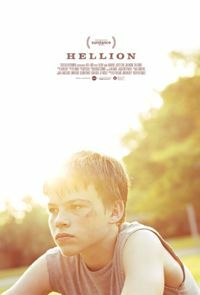 Hellion is an attempt by director Kat Candler to make some sort of social commentary on the breakdown of American family life alongside the ever growing problem of gun crime and the frustration teenagers feel about the society and lifestyle they are expected to grow up in. Starring Aaron Paul who impresses with a new maturity, in his first major outing since the ‘Breaking Bad’ phenomenon swept the globe, as Hollis a single father who has lost his wife and is struggling to hold his life together as his teenage son Jacob is already well on the road to juvenile delinquency whilst his younger son Wes is likely to travel the same route unless someone intervenes. Juliette Lewis makes an unlikely appearance as Pam the boys aunt and angel of mercy who, after the Child Protection Services step in, offers her services as a benefactor to the younger boy offering a more stable and comfortable environment for him to grow up in to prevent him from going off the rails. Naturally this does not go down well with Hollis who seethes with resentment which transfers to Jacob who already is emotionally confused at the environment he inhabits. A particularly worrying scene occurs when a group of adults are toying with a gun and one insists that Jacob hold it just to get a feel of what it is like whilst all the while describing this as one of those ‘precious moments’ between a father and son. Although Hollis protests at first he doesn’t put up much of a fight, his resolve weakened by his excessive drinking, and Jacob proceeds with handling the gun and at this juncture you are aware that tragedy lies ahead. Although Hellion makes a valid attempt at uncovering problems in American society and meanwhile also offers a glimpse at the frustration and miscomprehension of its teenage population, as the adults who are supposed to be directing their moral compass cannot even follow their own, it offers nothing new to the situation which hasn’t been said in a hundred other movies. The three central roles are handled with great skill- Josh Wiggins and Deke Garner as the young boys are exemplary- as is Juliette Lewis who brings credibility to her role it is just the script lacks any originality and fails to engage because of this. It is too well worn a story and to make it rise above the pack it needed a twist in the plot or traits in its characters which it just doesn’t possess.